Uversity was a Recognised College of the National University of Ireland from 2013 to 2018 and during this period, Uversity worked in partnership with twenty-four leading higher education institutions on the island of Ireland to offer a Master of Arts (MA) in Creative Process. This degree programme was delivered to international students for three academic years from 2014-2017. 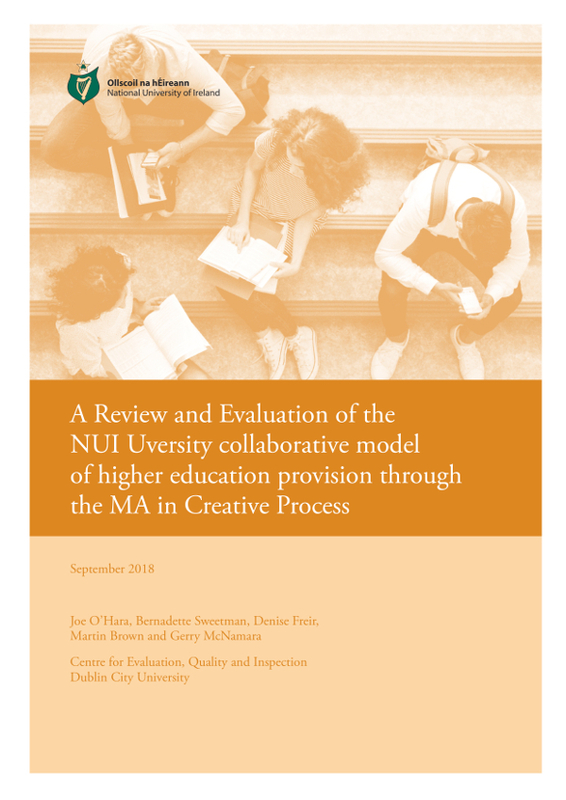 NUI is pleased to publish this report by compiled by the research team at EQI (The Centre for Evaluation, Quality and Inspection) at the Institute of Education, Dublin City University. 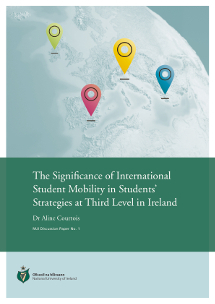 The Significance of International Student Mobility in Students’ Strategies at Third Level in Ireland is a disccusion paper prepared by Dr Aline Courtois who was NUI Dr Garret FitzGerald Post-Doctoral Fellow in the Social Sciences from 2014-2016. This study examines outgoing student mobility and demonstrates that it brings a number of benefits at individual, institutional, regional and national levels. The majority of students reported having a positive experience with many reporting increased self-confidence, and automy, as well as improved intercultural and interpersonal skills. However, Dr Courtois’s research found that many students reported differing views on the ‘quality’ – particularly the academic quality – of their time spent abroad. There were significant findings on such factors as the levels of institutional support available to outgoing students and also the cost barriers of an additional year abroad as part of a degree programme. 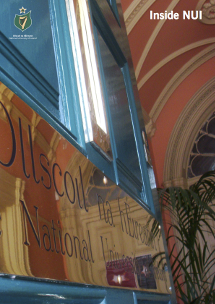 The National University of Ireland held a seminar on 5 December 2017 in the College of Anaesthetists of Ireland to launch the publication. 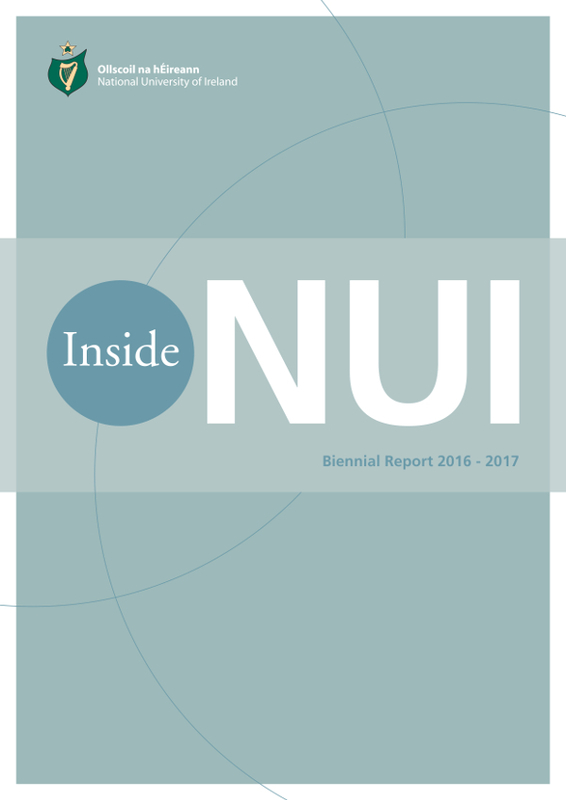 Inside NUI 2016-17 is designed to showcase the work of the National University of Ireland, and its achievements, ambitions and developments. 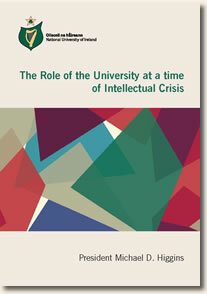 It opens the door to NUI, offering information about the governance and structure of the University, the role NUI plays in supporting its member institutions, how NUI promotes scholars and scholarship, and the work conducted by NUI staff in providing services to students, graduates, staff, and academics across the University community. 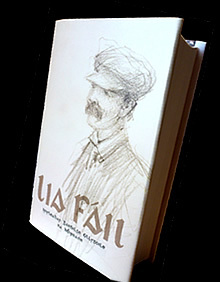 On Thursday, 21 March 2013 in National University of Ireland, 49 Merrion Square President Michael D. Higgins launched a facsimile reproduction of Lia Fáil Irisleabhar Gaeilge Ollscoil na hÉireann. This is a journal of modern Irish studies edited by Douglas Hyde when Professor of Irish in UCD and originally published by NUI. At a ceremony in St Patrick's Hall, Dublin Castle on Wednesday, 25 January, the Chancellor of the National University of Ireland, Dr Maurice Manning conferred the honorary degree of Doctor of Laws (LLD) on the President of Ireland, His Excellency, Michael D. Higgins.